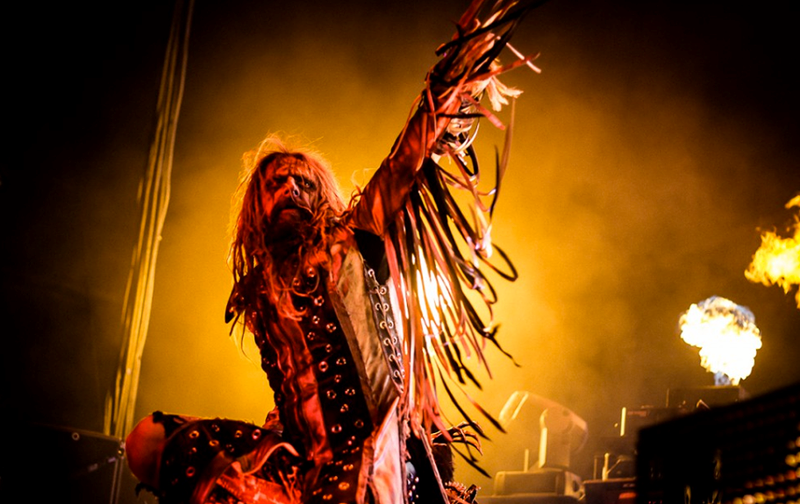 Rob Zombie will release a 2016 performance of a 1995 White Zombie album in its entirety later this year. The rocker delivered “Astro-Creep: 2000 – Songs Of Love, Destruction And Other Synthetic Delusions Of The Electric Head" live in full at Chicago's Riot Fest last September. Zombie revealed the news on Instagram, writing, “Mixing Astro-Creep live album with @zeussproducer” alongside an audio preview from the studio. Aided by success of the single, “More Human Than Human”, the group’s best-selling record peaked at No. 6 on the US Billboard 200 on its way to US sales of more than 2 million copies. Earlier this month, the singer performed at a series of festivals in South America and will next begin a series of European shows in Glasgow, Scotland on June 9.